A senior operations and projects professional with 30 years experience of exemplary hospitality service within the Foodservice Catering, Restaurant, and Healthcare sectors. As an operations lead, his main field of expertise is in turning around underperforming business / contracts within food and beverage operations and building long-term customer and client relationships. With a strong understanding of commercial innovation and experience in mobilising strategic business projects from concept to completion, he has consistently driven business growth and client retention for the companies he is proud to have owned or represented. Please click on photos and links for more details and feel free to contact Thomas if you require any further information or professional support. 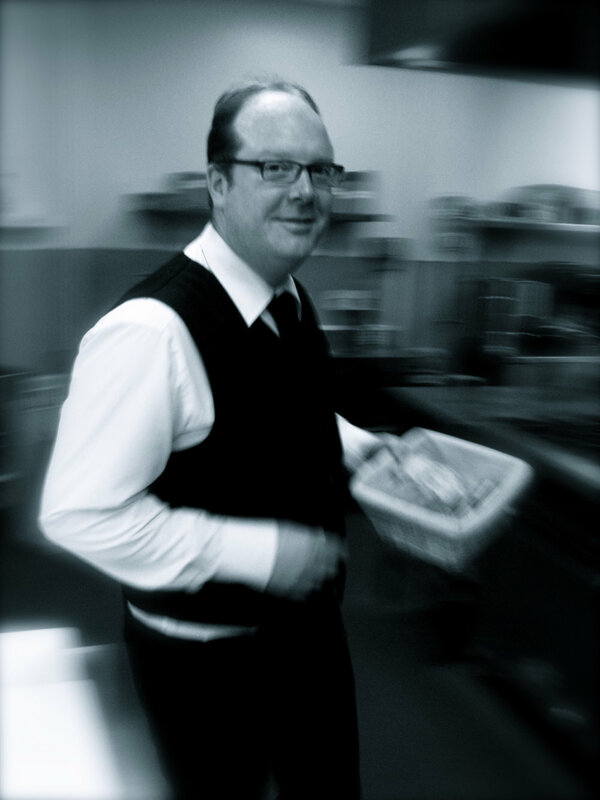 Kitchen Sync Ltd is an independent catering consultancy that provides objective advice to a wide range of clients on the management of their catering and hospitality services. We specialise in business turnaround - identifying risk, generating sales, and driving the highest levels of service and productivity as a priority. Experienced in gathering relevant information and developing it into a meaningful strategy, we can then progress it to become a fully functioning operation that meets the client’s qualitative and fiscal objectives. Genting UK operates 43 casino licences as well as online gaming portals and Resorts World Birmingham. Within their London portfolio, Genting controls six high-end casinos including Colony Club, Palm Beach and Crockfords, all situated in Mayfair. Overhauled the culture, attitude and training regime around food hygiene and workplace safety, instilling ‘best in class’ practices that resulted in commendations and record scores by company-appointed external auditors. Enacted a program of payroll efficiencies to bring F&B manpower cost down against the 2018 full year budget. Also reduced department’s FTE count through natural attrition & rota efficiency. Executed a performance management and service enhancement strategy that delivered significant F&B revenue increase over budgeted expectation. Mentored direct reports to be more effective managers and team leaders. The kitchen team saw their GP on food increase by 20% year on year. The Bar team drove sales to realise a like-for-like cash revenue jump by 22% in Colony bar over the previous full year results, while the Colony Restaurant team took home the ‘Casino Restaurant of the Year’ runner-up commendation - as voted by diners - at the Annual Casino Awards. Inspired his team to focus on service excellence in support of the cost efficiency strategy to ensure consistency of customer service (which is key in retaining the ultra-high-net-worth gaming clientele). As a result of this and overall business performance, the Colony Club was awarded the Genting UK ‘Casino Club of the Year’ in 2018. Established in 1932 and situated in the heart of London’s medical community, The London Clinic is one of the UK’s largest private hospitals, dedicated to providing the best, personalised healthcare. The London Clinic situated in the heart of Harley Street's medical community is one of the UK’s largest private hospitals, dedicated to providing the best, personalised healthcare. Prioritised retention of the hospital’s Westminster City Council food hygiene rating from two stars back to five stars within my first 12 weeks, and putting in place a new Food Safety Management System that protected that status on two subsequent inspections during my tenure. Executed a communications and service recovery strategy that moved patient satisfaction scores from below average as a hospital department to the highest patient scores ever recorded by the Hotel Services team. Reimagined the patient menu experience to create a key differentiator with sector competitors. From dish costings to design, overhauled the specialist post-operative menus and launched a contemporary International Menu with a newly-recruited specialist Chef dedicated to Middle Eastern patients. Was instrumental in driving service excellence with a programme of performance management and a re-structure through effective recruitment, prudent retention and internal promotions. Developing a culture of consistent food quality resulted in staff dining sales rising year-on-year while kitchen production agency costs were eliminated. Steered my department through a business-critical Care Quality Commission audit in November 2016 to evidence our patient care excellence, clinical governance and compliance. The inspection was conducted over three days by 22 medical specialists. Their report is due to be released imminently. BaxterStorey is the UK's largest independently owned Foodservice Catering company in the UK with £300M annual turnover, servicing 400,000 customers per day. To support the Board in mitigating their risk to business reputation and drive further growth, an internal promotion (from General Manager at St. Cross) into this specially created role gave me responsibility for the brand’s social media and communications proposition. My role was to effectively articulate the company's founding principles of delicious food by well trained people with great customer service and a love for our clients'. By translating my deep understanding of professional cooking and service operational expertise into social media storytelling I was able to attract new sales leads; strengthen relationships with client brands; enhance frontline customer service recovery, and drive employee engagement. • The Gold Service Scholarship Seconded at Board request to manage a high profile programme of year-round social media communications for this prestigious industry competition. • BaxterStorey Mobile App Project-led this multi-departmental collaboration to completion in five months. Allowing customers to provide direct feedback, the app is now the top referrer of online traffic to the company social channels. • Video Production: Here are two examples of videos I produced for Baxterstorey's YouTube Channel. These projects involved writing the brief and collaborating closely on the final production to ensure they adhered to the proposed budgets and creative objectives. Being key to BaxterStorey’s growth within the University sector, my priority on joining was to the 14-year relationship with the client was strengthened and extended. Introducing a culture of excellence together with intelligent resourcing resulted in a 3 year contract extension during my tenure. Overseeing detailed financial and payroll accounts, robust health & safety procedures and an extensive staff training schedule as part of the monthly review with our client, I empowered my team to offer a professional and welcoming experience to the academic community of 700 college members. • 84% of our externally-sourced events were repeat bookings from satisfied organisers. • A University of Oxford welfare survey overwhelmingly cited our catering as the "single best part of being a student at St. Cross." Returning to the UK from Nepal, and with a personal investment of £30,000, we developed this country pub situated near Bedford into a destination dining food pub during our three years of ownership. A carefully selected wine list and gaining Cask Marque accreditation for real ale were both key to growing wet sales. Meanwhile we worked hard at developing and marketing our food offer to attract guests from the wider Bedfordshire area with average spend on a weekend night reaching £50pp. Within months we turned the business around, growing sales from £1500 to £15,000 per week thanks to our hardworking and loyal team of great people. For three years, we worked seven days a week to drive this tied-tenancy business forward eventually expanding to include another Greene King pub, The Crown at Willington, and a freehouse hotel in nearby Potton called The Old Coach House. As the credit crunch tightened its grip on the economy, we sold the business to focus on new consultancy opportunities which were proving more lucrative, and professionally fulfilling, at the time. Papa Charlie | Chislehust, Kent | 2005: Before discovering the Five Bells property in Bedford in early 2006, was tasked with developing this modern Italian restaurant. By introducing a very competitively priced daily market menu with wine included, we saw luchtime sales rocket from practically nil to over £1000 a day by attracting in the affluent dining set who would otherwise choose the popular high street chains in the area. Total sales grew from £15K pw to £25K pw without any further investment in the business by the proprietor. The Shakespeare Hotel | Bedford, Bedfordshire | 2009-10: An independent property with 23 bedrooms situated near the centre of town, my brief was to drive the business forward during the economic downturn. Overseeing every aspect of the operation from selling the hotel as a wedding venue to potential clientele to streamlining the back of house operation through efficient use of resources. The result was a sustained lift in revenue driven primarily by returning customers which allowed the owners to reinvest when their competitors struggled. From seed investments totalling $150k, my business interests in Nepal reached a combined turnover of $1.2Mil per annum employing over 250 staff across the portfolio of partnership investments. (For a costing perspective outside of Nepal, a fillet steak dinner sold for under $5 at the time.) While great customer service was key, we also put in place a very effective PR, marketing and brand communications strategy to drive growth. This culminated in hosting a 10-part television series on Channel Nepal called The Cookery Show. K-too! Beer & Steakhouse | Apr 2000 - Dec 2016 | Restaurant | 180+ guests - To facilitate business expansion at the time, we retained a second site within walking distance from Kilroy's. Market research assisted me in creating a brand concept and business plan that would complement the flagship operation. Project managing an empty shell from design through build stage to mobilisation within 12 weeks, K-Too! Beer and Steakhouse opened in April 2000. Seating 180 guests, this fast casual dining experience focused on value for money with a Tex-Mex menu of gourmet burgers and sizzling steaks and continues to trade successfully today. K-tring! Party Services | Nov 2000 - Apr 2005 | Outside Catering | 900+ guest - By developing a pipeline of Clients whom we cultivated through the restaurants, we took the opportunity to launch K-tring! Party Services which attracted key embassies for events including 900 guests at Sir Edmund Hillary's 50th Anniversary of summiting Everest and HRH The Princess Royal on her official visit to Nepal. 1905 | Nov 2000 - Apr 2005 | Restaurant | 1500 guests - In search of business growth beyong the expatriate, diplomatic and tourist markets we were attracting, I formed a partnership with the owners of a restaurant called 1905 which had great potential to attract the local Nepali sector. Overhauling the menu to create a more refined 'destination dining' offer, we undertook a major project to landscape the garden in this house (built in 1905, hence the name). Within just a few months we created a venue that tapped into the lucrative wedding sector delivering events for up to 1500 guests. This partnership continued until my relocation to the UK in 2005. 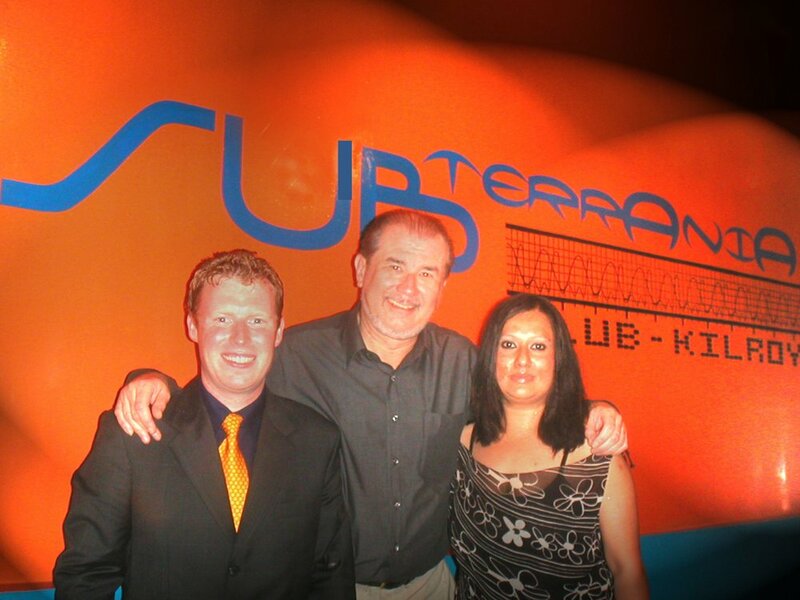 Subterrania | Nov 2004 - Dec 2005 | Nightclub | 400+ guests - As Kathmandu became more cosmopolitan at that time, we recognised a market opportunity as all our diners were looking for a late night vibrant nightspot to move onto where they could feel safe and secure. While developing this brand concept, I was approached by investors who had a suitable site and within just three weeks we successfully mobilised the city’s first members-only nightclub, Subterrania.